To transform an existing shopping centre rooftop into a memorable community place. 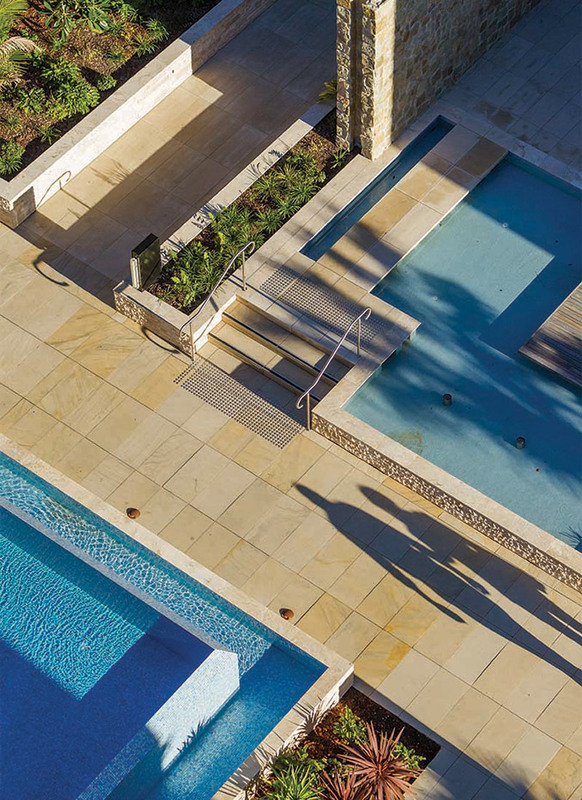 To integrate the design and warmth of nature, encourage a sense of ownership, beauty and delight and to bring the play of water within whilst embracing the ridgeline location that affords panoramic views across Sydney. 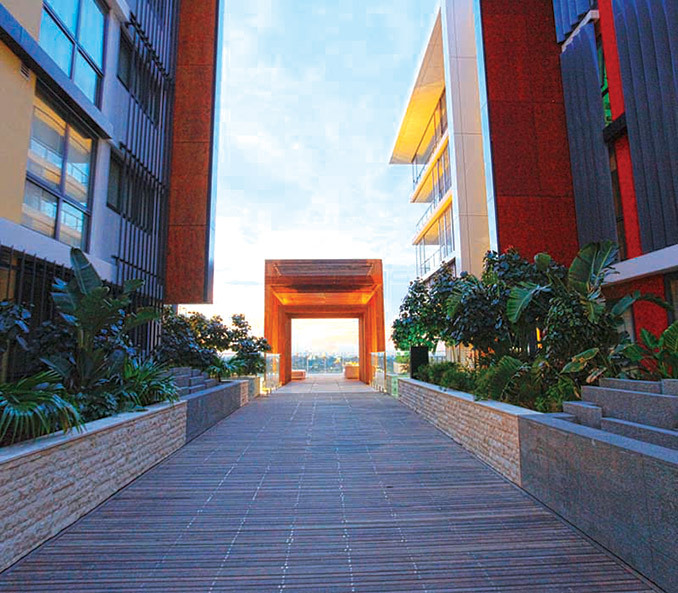 Top Ryde City Living is a residential community comprising of 653 apartments, built over the existing shopping centre car park roof structure. Located 12 kms from the Sydney CBD, Top Ryde City Living embodies the paradigm of the vertical village; it is a ‘village in the sky’ with panoramic views of the Sydney CBD, western Sydney hinterland and the iconic Sydney Olympic Park. Located close to employment, schools, services, leisure destinations and transport, Top Ryde City Living removes the need for thousands of pollution-creating car trips each year. space on top of an existing commercial and retail centre. 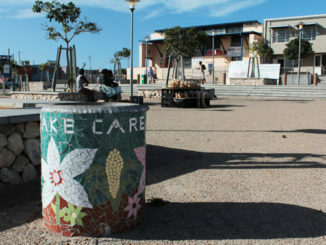 By creating a new community with equitable access to employment, services and leisure destinations, the project has a drastically reduced the ecological footprint compared with typical communities. community facilities include a library, music room, theatre, multifunction community area, gym, BBQ facilities, children’s playground, swimming pool with sauna within the pool pavilion. The design of the podium landscape was the thread that held these diverse community facilities together, facilitating access through a range of paths, ornamental water features and highly textural planting taking inspiration from Tropical Modernism. The combination of these elements builds a stronger community through both physical and social connections delivering a range of diverse experiences in a secure, sustainable environment. living. Critical to the success of the development was the creation of opportunities through the bringing of nature into the heart of the development. 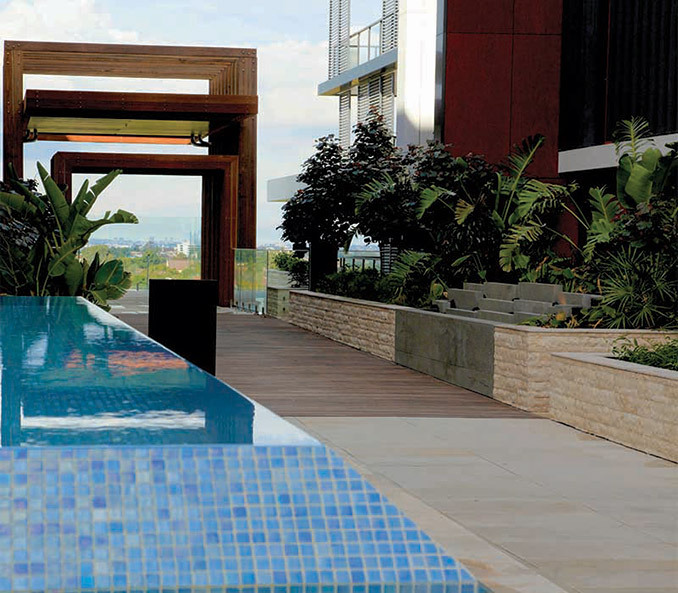 The landscape design realises a vision of nature in a strongly textured and uplifting environment. 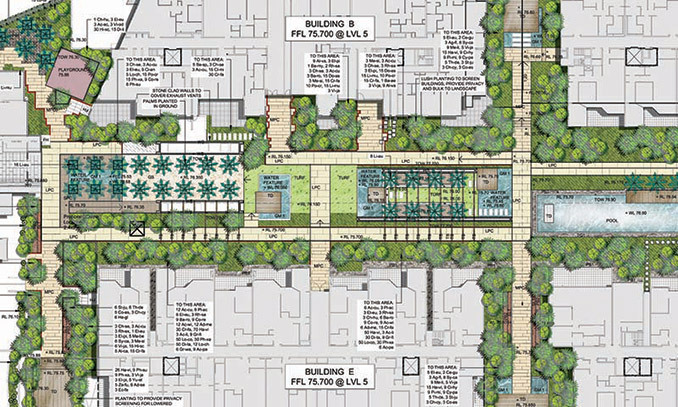 This environment creates a balance and support to the surroundings, creating legible pedestrian access that responds to the urban and open space fabric. Opportunities were created for appreciating the surrounding environs through the innovation of sky terraces that link the surrounding areas. 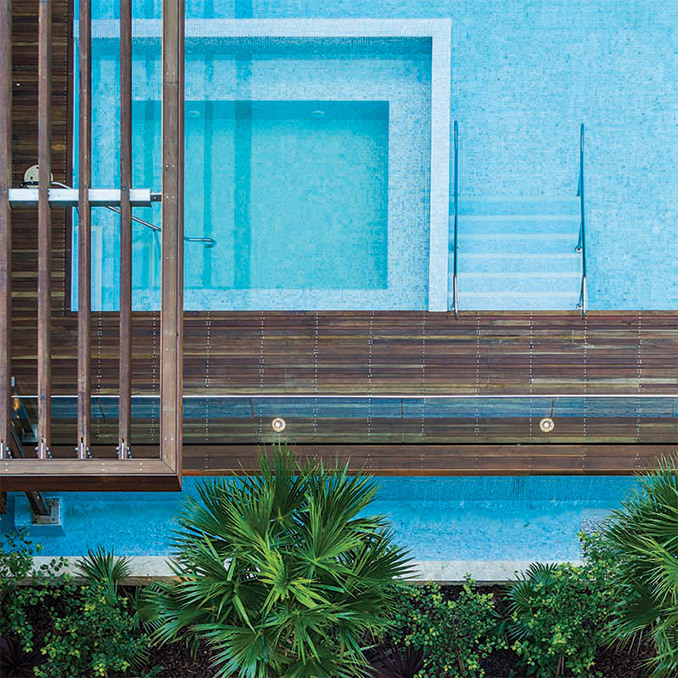 Water in ornamental pools, cascading down walls and meandering through stone elements is a critical component of the overall external environment, ensuring that the senses are delighted at every turn. 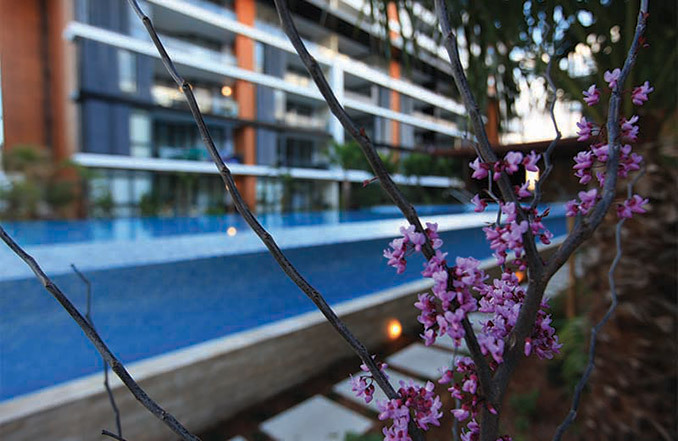 The infinity edge swimming pool forms part of the overall external environment that doubles as an ornamental feature and forms an integral part of the active recreation facilities that feature at Top Ryde City Living. inspiring environment. The material choice elevates the look and feel of the environment highlighting the values of ‘resort style’ living and wellbeing through the warmth of nature. The design of the whole development, focused on a landscaped environment with its range of features and environments creates a sense of identity and well-being across the living spaces, catering for the day-to-day enjoyment of its residents and guests. 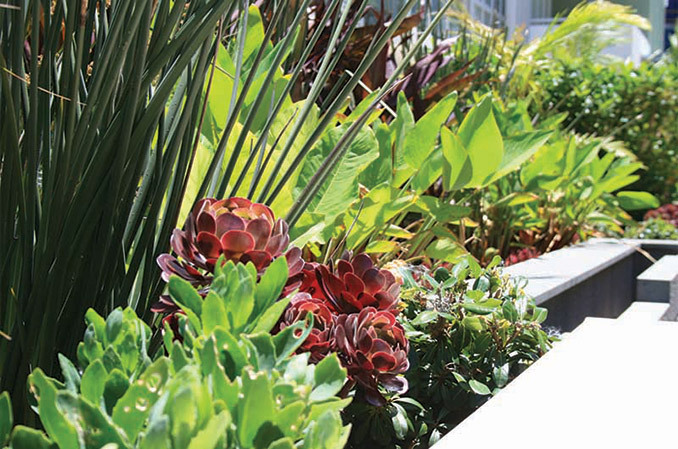 The rooftop gardens incorporate natural materials with low walls and wide planter boxes providing seating opportunities with the wide variety of leaf texture, flowers and natural elements encouraging outdoor living and social interaction. 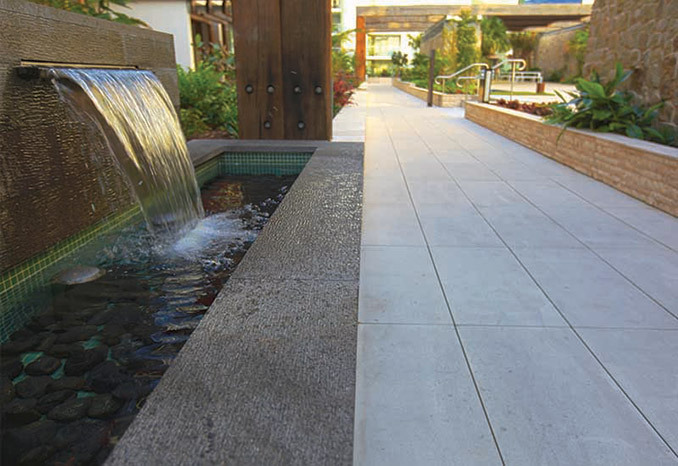 flora merged with east coast Australian species, textural materials that engage the senses and continuous elements of water are critical to creating an appealing character for this community space. 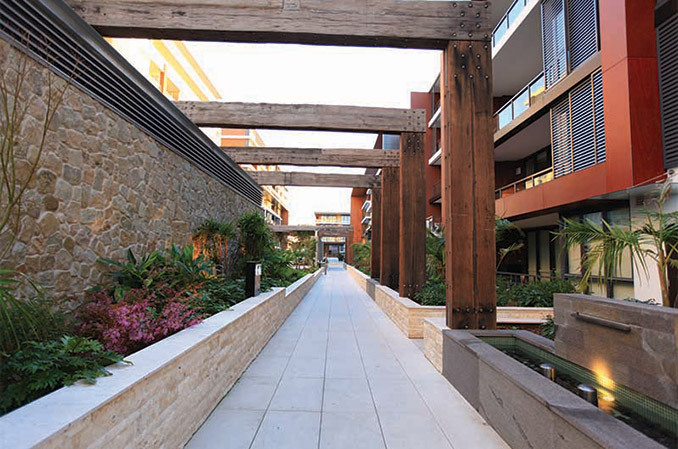 Recycled natural timbers, used on pavilions and building awnings, represent in part to the history of the area where industrial buildings forged part of Sydney’s wealth creation. These structures create a link between the architectural expression of the building forms by introducing a human scale and warmth into the landscaped environment. 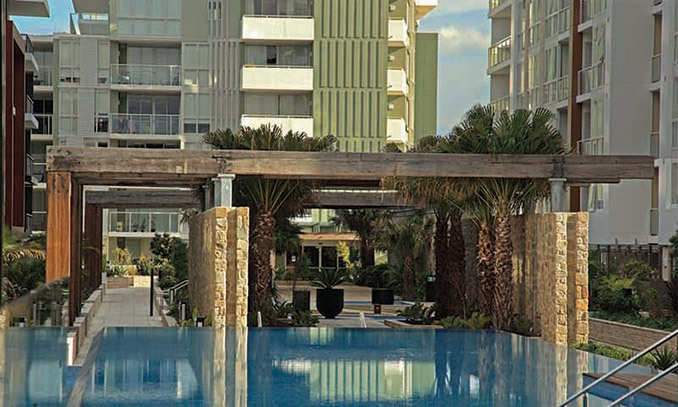 An extensive use of natural materials and finishes, both on buildings’ facades and pavilion structures, create a soft background for lush landscaping of the residential podium. the car park, with the longest horizontal pipe length being more than 160 metres. 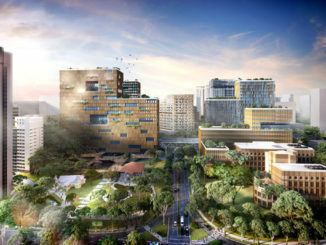 The design outcome redefines the concept of high density living with the rooftop landscape providing the focus and thread to the range of community facilities. Outdoor community activity zones accommodate both communal and group activities. Walking through the environment is encouraged complemented with the sensory stimulation of the sky and stars. Appreciation of the surroundings is met through the sky pavilions that provide a key to place making through the facilitation of views to the Sydney CBD and its surrounds. The extensive use of still and running water, scented and textural planting, natural materials of stone and timber creates a sustainable approach to enhance a feeling of well-being in a restorative and uplifting landscape.